Let’s begin with the finish. The Naples bronze finish consists of a bronze coloring, and a reddish tone mixed smoothly with a touch of copper. 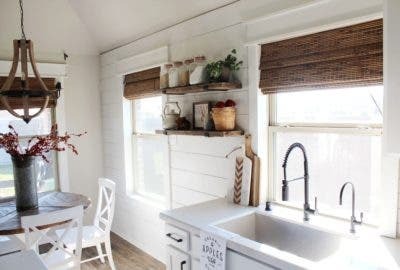 The finish is designed with a darker tone to provide a rustic, vintage look that easily differentiates itself from the other finishes. In comparison to lighter finishes, the Naples bronze doesn’t tarnish as easily and is the perfect complement for traditional home interior designs. It’s certainly a finish your friends and family haven’t seen very often. 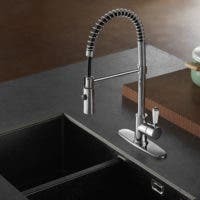 The Single-Handle Pull-Down Kitchen Faucet is a member of the Continental Collection, as indicated by its name. 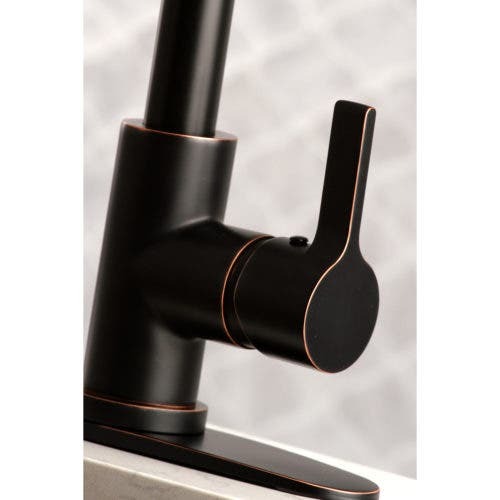 With its sleek curves and modern design, the single lever handle is ADA compliant and easy to handle making water control incredibly easy. 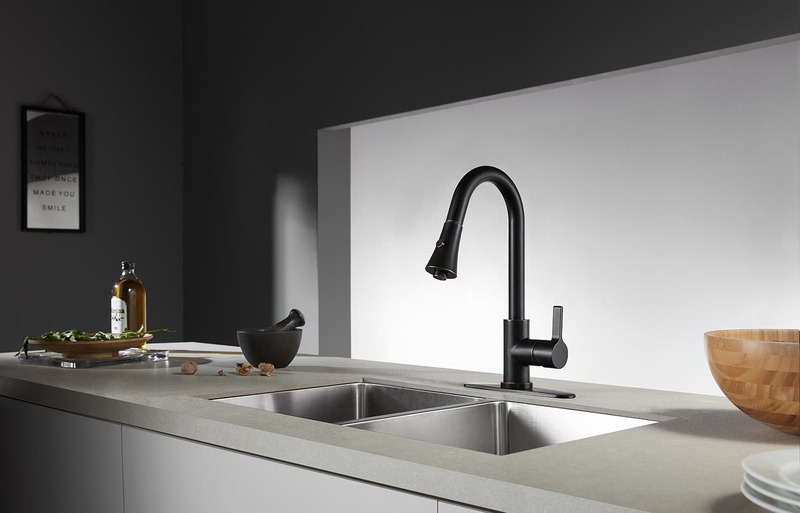 The spout is really a defining feature, and how can it not be? The long gooseneck spout provides almost 9″ of clearance. 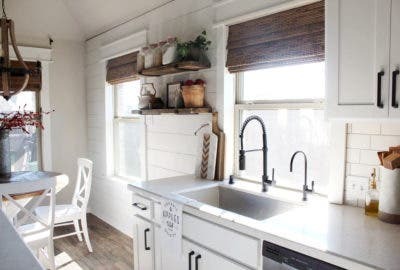 That’s more than enough room to rinse, wash, and clean even the largest pots in your cabinets. 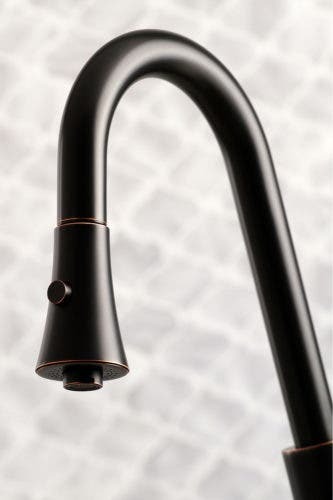 This faucet is a rare example of what occurs when functionality is designed with a modern presence. 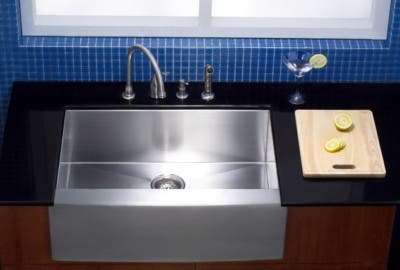 You can place it up there among the best kitchen faucets of Kingston Brass.